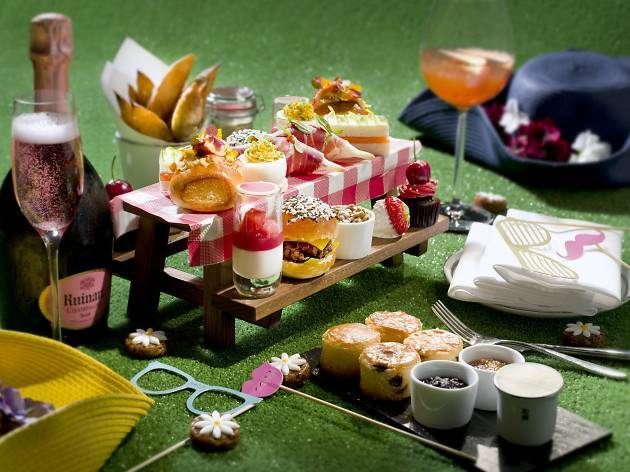 This summer, MO Bar brings you into a little patch French jardin. 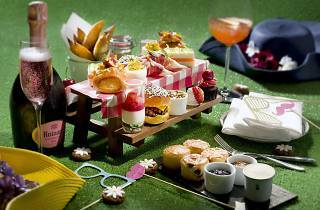 Serving a picnic-inspired afternoon tea on a wooden table on top of a grass patch, expect the traditions like cucumber sandwiches and scones with clotted cream and jams. But we recommend the rose petal panna cotta with watermelon and strawberry – that just sounds refreshing. It’s $260 per person and optional add-ons include $128 for a cocktail or a glass of Ruinart Brut Rosé Champagne.